August 5, 2013 By This post may contain affiliate links. 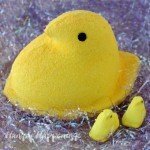 Today I’d like to introduce you to Janine, from sugarkissed.net. She is here to show you how to make Funfetti Cake Pops. She is a master when it comes to cake pops. 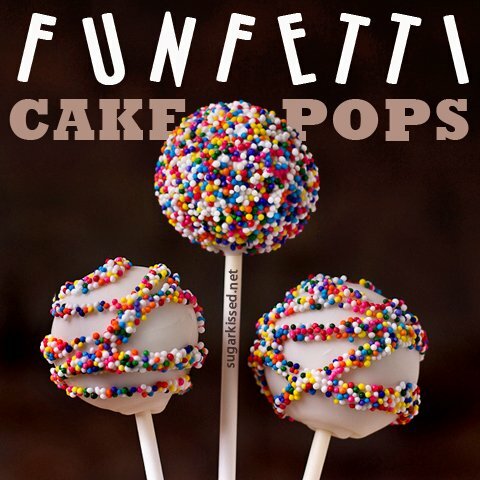 I’ve only tried them a few times and am so excited to learn the tips and tricks to making perfect cake pops. 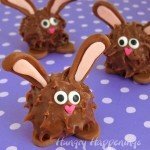 Hi, I’m Janine, from the blog sugarkissed.net, where creative sweets are made simple! 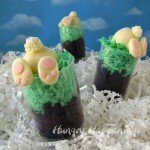 I have a passion for creating sugary treats that are easy to bake and decorate. 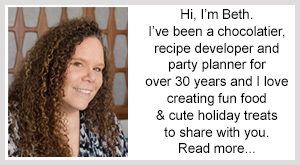 I’m thrilled to be here today at Hungry Happenings to share that passion with you! Cake pops are one of my favorite sweet treats to decorate and my love of sprinkles has sometimes been described as an obsession. So, it only seems natural to combine the two. I think you’ll agree that the resulting funfetti cake pops are a colorful delight! If you are new to cake pops or have tried them in the past without success, these simple cake pops are the perfect place to start. With an easy cake pop recipe and step-by-step decorating directions, you can’t go wrong. To create cake pops, you need to start by making cake balls that you will later apply to lollipop sticks. The easiest way to make cake balls is to follow the directions on a box of cake mix. I suggest using a light-colored cake mix for this tutorial so that the cake balls don’t show through the candy coating. 1) Use your hands. Put chunks of your cake into a large mixing bowl and use your hands to crumble it into a pile of fine crumbs. 2) Use a food processor. Put chunks of your cake into a food processor and pulse it into fine crumbs. Then, move the crumbs into a large mixing bowl. Next, add a small amount of frosting to your cake crumbs and thoroughly combine using your hands. (Again, I recommend a light-colored frosting.) Continue to add small amounts of frosting until your crumb mixture becomes the consistency of clay. Once you have created your “dough”, you can begin rolling your cake balls. Roll the mixture in the palm of your hand to create round cake balls about 1.25″ in diameter. Set your cake balls onto a parchment lined baking sheet or plate and put them in the refrigerator for a few hours until chilled. Microwave your white candy melts in a bowl on low power for 30-seconds at a time. Stop and stir after each 30-second interval then repeat until the coating is completely melted. Do not overheat the candy melts or your coating will become lumpy. If the coating is too thick, add a small amount of vegetable oil to thin it out. Dip the end of a lollipop stick into the melted coating and then into a cake ball, gently pushing until the stick is about half way through the cake ball. Set your cake pops in the fridge to chill for dipping. Helpful Hint: Work with just a handful of cake balls at a time. Rotating them in and out of the fridge ensures that you are always working with perfectly chilled cake balls. This is where it comes in handy to have a few petite cake pop stands to rotate around! Dip each chilled cake pop straight down into the melted coating until the cake ball is completely covered and sealed. If you need to angle the cake pop, gently tilt it in one direction and then another. Resist the temptation to stir the coating with the cake pop. Helpful Hint: A tall narrow bowl works best for dipping cake pops. Keeping the coating warm throughout the entire dipping process is key to having a smooth coating on your cake pops. To avoid having to repeatedly reheat your coating, a chocolate melting pot is a great tool. Remove the cake pop from the melted coating by pulling it straight up. Then, turn the cake pop at an angle and gently tap off any excess coating. 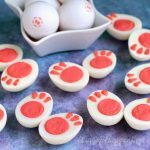 If you have problems with your cake balls falling off of the sticks, check out 5 Tricks to Stop Cake Pops From Falling Off Sticks for help. To create funfetti cake pops that are completely covered in sprinkles, immediately sprinkle your rainbow nonpareils over the entire surface of your cake pops. Use the back of a metal spoon to press the sprinkles into place where needed. To create funfetti cake pops with swirls of sprinkles, let the first layer of candy coating completely harden. Then, dip a spoon into the melted coating and drizzle it onto your cake pops while twirling your pop back and forth. Immediately sprinkle your rainbow nonpareils over the wet swirls. Set your cake pops upright in your cake pop stand until the coating has completely hardened. 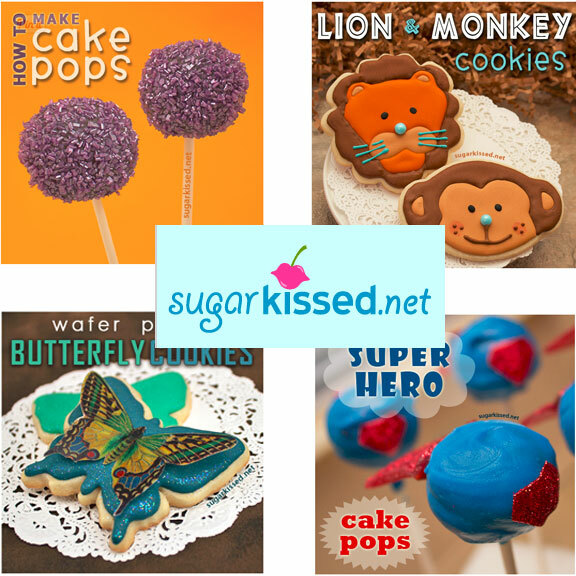 Be sure to stop by and check out her easy to follow cake pops tuturials, cookie decorating projects including adorable Lion and Monkey Cookies, beautiful Butterfly Cookies, and her decorated cake pops including her Super Hero Cake Pops. 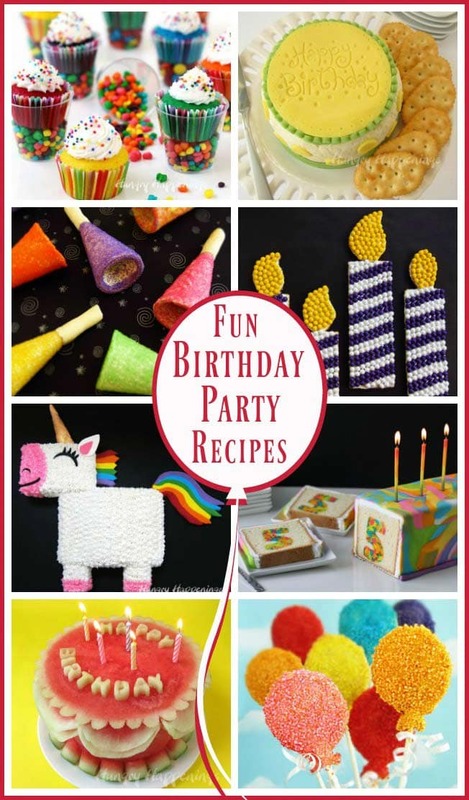 Hungry Happenings has created some festive recipes for any occasion birthday party that any girl or boy will love. So happy to have the chance to share one of my tutorials with your readers, Beth! Thanks for having me! Thank you so much for sharing your tutorial with my readers. I'm barely finding time to read my e-mails right now! 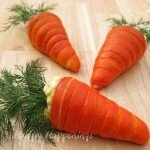 Beautiful tutorial – thanks for sharing! I love these sprinkly cake pops! Truly Fun Fetti! Your pops are so perfectly round! Thanks for the tutorial, Janine! Thank you for the sweet compliments, ladies! I'm glad you enjoyed the tutorial! cute 🙂 everyone loves sprinkles! So how can I decorate my cake pop using regular hot pink cake icing, thats usually for regular funfetti cakes? ? Dawn, you can add the frosting to the cake to make the cake ball "dough". 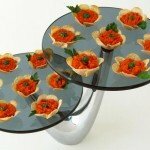 For decorating, you need Candy melts, almond bark, or another kind of Candy coAting. Can I use funfetti cake mix for this? Sure, you can really use any type of cake you'd like to make the cake balls. If I were going to use 2 boxes of cake mix to make about 48 cake balls, about how much of the candy coating would I need? And is it available at most stores? I usually melt a full bag because it's easier to work with when your dipping container is full. But I always have a lot left over. So, two bags will be plenty. You can find Wilton candy melts at Michaels but my favorite is Candiquik. I can get Candiquik at my grocery store and Target.